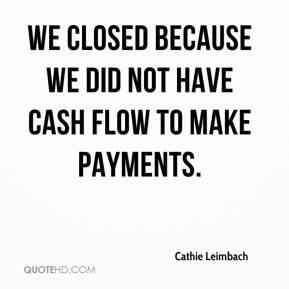 We closed because we did not have cash flow to make payments. We could not accept an offer if the bank is not willing to settle its accounts for that amount of money. 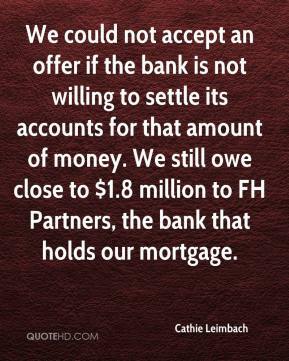 We still owe close to $1.8 million to FH Partners, the bank that holds our mortgage.